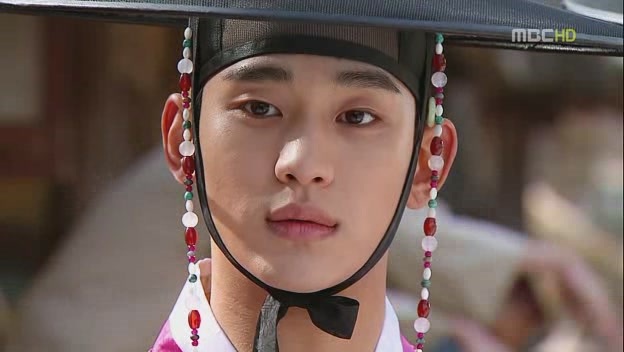 When this drama first started, it maintained a steady pace and became a hit overnight. Characters were so well developed that we quickly became attached to them and had a hard time letting the child actors go. Then the ratings started to creep up higher and the pace increased all full speed. We all know what happens to most fast moving vehicles when it does that, but Moon seems to be blessed with a bit of magic. It has the capability to distort reality so that even though the flaws are glaringly obvious, we are blinded by what we want to see. Maybe it’s because we had an extra week to prepare for tonight, but I am not broken up as much as I thought I would be. The story has been told and all that is left is to bring about some reconciliation and reunions. As I wondered what to write for this finale, a thought crept into my mind. Last night as I was adding up the body count of all the people who died throughout this series, I wondered just how many were killed by Yoon and the Dowager’s greed and how the rest simply died as casualties of a conspiracy they had no part in. It made me think of Saving Private Ryan when the captain tells Ryan that he needs to earn this. Since so many good men had to die to save Ryan, The captain wanted Ryan to live a good life so that all those men didn’t die in vain. 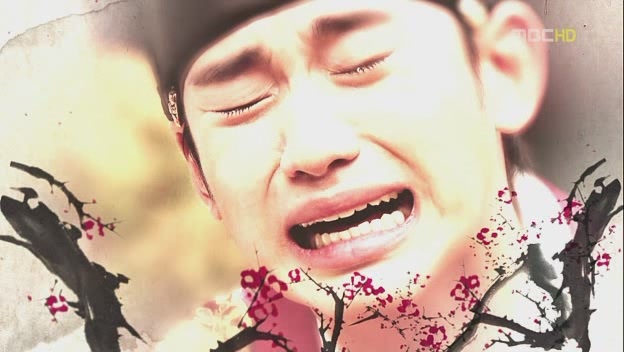 That’s how I felt about Hwon and YW. So many innocent lives were lost for the moon and sun to be together so it makes you wonder if Hwon and YW appreciate what they have now since it came at such a high price. Happiness gained through your own effort is one thing, but their happiness was bought with a lot of bloodshed. 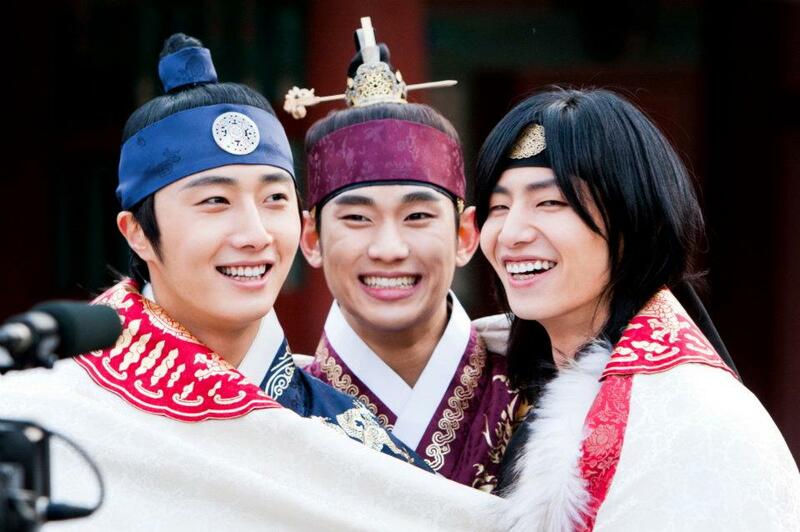 Just like YW is grateful to N every time YW gets to sit across from Hwon, I hope every year they are together, they stop to think about the people who aren’t in their lives anymore who made ultimate sacrifices for their very existence. When I saw this, I thought “wow – things really do come true when you wish hard enough.” One great actor in a role makes that character memorable, but when you get another one who is even more talented than the first one, that character becomes unforgettable. It was totally unexpected, but I was literally bowled over by these flashback scenes. One right after another, they delivered some powerful performances. If you are going to bring YJG back, these were the perfect moments to let him shine. I was thrilled just to see him reprise his role, but having both of them on the screen at the same time made me feel like I had landed in kdrama bliss. This is the best part about this drama. No matter how predictable it seems, you never know what you are going to get. It hasn’t been a big mystery that Hwon would eventually figure out who Wol really is so you expect tears and anguish once realization hits. But you never see this coming. This kind of visceral pain you feel right along with him every step of the way, even more as he falls to his knees in regret over his past actions towards her. It’s like the memory of every harsh word, every minute of pain YW endured cuz of him, all of it caught up to him in this moment. When she was being tortured, he thought he had to look the other way cuz she is a shaman. Everything M said to him about protecting YW was already affecting H, but now that he realizes who he allowed to be tortured, it’s like he is feeling exactly how his actions harmed her. What kills me even more is that self doubt about if he is the right man for her is facing an undeniable truth that it can’t run away from. 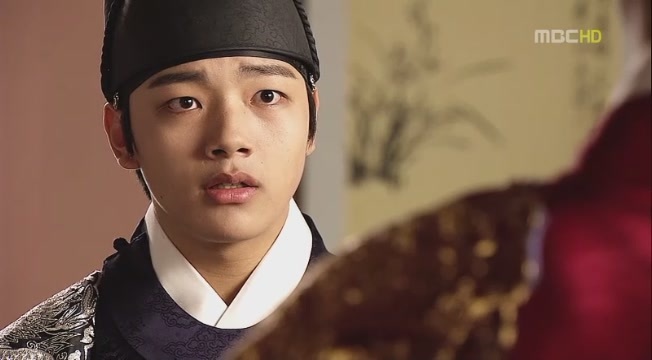 Just like Wol thinks she deserves punishment for not recognizing him right away, Hwon is having that same thought now. What both of them do not get is, each one recognized the other on a subconscious level. They have been connected by an invisible bond that formed the first time they met in the palace yard as kids. No matter who tries to sever that alliance – whether it is their enemies or rivals for YW’s affections, there are some things that even man can’t control. Fate will continue to step in and protect what they have every single time. Judging from this scene, I would say no one deserves to have his love protected more than Hwon. Only someone who loved deeply can feel this much remorse. Last time when I watched SKKS, from start to finish I was rooting for MJS to get the girl. It’s been my weakness to always root for the underdog. But somehow that didn’t happen in this drama. I think it’s cuz Hwon did such an excellent job of showing just how much he loves YW that I couldn’t picture her with M for even a second. Even though she is back to being YW, as far as her feelings for M goes, nothing has changed. Just like when they were kids, her heart still doesn’t belong to anyone except Hwon. That’s why I wish M would move on and let her go, but I guess for a few more episodes M has to reside in denial city thinking that he still has a chance. It’s bad enough his pride won’t lose to his brother twice so I really hope M doesn’t make things worse and stir up more trouble for himself or for his brother. In the end, the only one standing there alone again will be M. The biggest difference this time will be that he might compromise his relationship with his little brother along the way. Someone needs to teach M a lesson about cutting his losses and taking a step back, but I guess his foolish heart has to dictate his actions for a while longer before reality sinks in and knocks some sense into him. Watching Hwon stare after Wol as she is being led away made me think he was feeling more and more lost with every step she took away from him. It’s like the life in him was sapped – all the happiness and warmth her presence brought to him was slipping out of his grasp. Part of me is thrilled to have an extension, but the other half is a bit wary since we all know what glitches in the story extensions seem to bring about to certain episodes. I am willing to give this drama the benefit of the doubt that it might make the best use of it. As long as we get more plot development in the love story that resembles some parts of the novel, I am all for it.